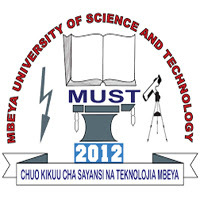 Mbeya University of Science and Technology (MUST) invites applications from suitably and competent persons to fill vacancies that exist in the Teaching and Administration Departments of the University.  Master‘s degree in the field of Mechanical Engineering, Electrical Engineering and control Engineering or its equivalent with at least a GPA of 4.0 out of 5 at Master’s level and minimum GPA of 3.8 out of 5 in the first degree.  Carry out lectures, conduct tutorials, seminars and practical for undergraduate programmes.  Prepare and present case studies.  Conduct and publish/disseminate research results.  Recognize students having difficulties intervene and provides help and support.  Participate in consultancies and community services under supervision.  Perform any other duties as may be assigned by the relevant authorities.  Holder of Bachelor Degree in Accounting/Finance or Advanced Diploma in Accounting, intermediate stage (both module C and D), professional level II or equivalent qualification plus ICT skills.  Knowledge in Computer application packages.  Prepare monthly trial balance and bank reconciliation statements.  Holder of Bachelor Degree in Education, Statistics or equivalent qualification plus ICT skills.  Excellent English, written and oral communications skills.  Implement admission policies, regulations and procedures.  Responsible for registration of students.  Make correspondences regarding admission matters.  Receive and processes admission applications.  Responsible for planning, co-coordinating, directing and controlling students’ admission matters.  Keep proper records of all students’ admission matters.  Perform any other duties that may be assigned by Supervisor.  Holder of Form IV or Form VI certificate with Trade Test Grade I/Level III in computer studies/ICT or equivalent qualification.  Assist ICT Technician in finding source documents and solutions for identified manual libraries.  Holder of Secondary Education Certificate with passes in Kiswahili and English having a valid Class C, C1 to C3, D and E driving License and working experience of not less than 3 years. Trade Test Grade III/Level I certificate in Motor Vehicle Maintenance/Mechanics is an added advantage.  Maintain disciplined behaviour and proper conduct in rendering services to his/her assignees.  Holder of Bachelor Degree / Advanced Diploma or equivalent qualification in Electrical Engineering and Telecommunication Engineering relevant field.  Print reports, letters etc.  Holder of Bachelor degree majoring in Computer Science or Information and Communication Technology, Information Technology, Computer Engineering, Telecommunication, Electrical Engineering and any other relevant field. reliable contact postal address, e-mail address and telephone numbers. iii. Applicants should apply on the strength of the information given in this advertisement. iv. Applicants who are currently employed should channel their applications through their employers. – Form IV and Form VI National Examination Certificates. – Professional Certificates from respective boards (if any). – One recent passport size picture and birth certificate. vii. Testimonials, Partial transcripts and results slips will not be accepted. viii.Presentation of forged academic certificates and other information in the CV will necessitate legal action. ix. Applicants who have/were retired from the Public Service for whatever reason should not apply. x. Applicants should indicate three reputable referees with their reliable contacts. xi. Certificates from foreign Universities should be verified by Tanzania Commission for Universities (TCU). xiii. Application letters should be written in English. xv.Dead line for application is 22nd September, 2017, at 3:30 p.m.